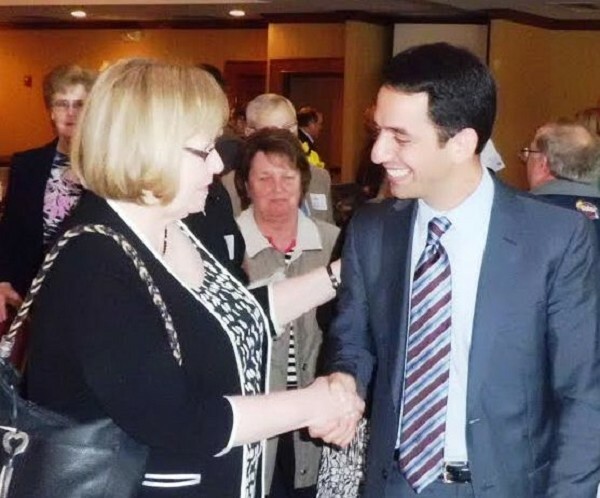 Uptown developer Peter Shaheen is welcomed by Downtown Bay City's Candace Bales. "World class brands and global corporations" are coming to Uptown Bay City, with announcements expected soon, Peter Shaheen, vice president of SSP Associates told the Bay Area Chamber of Commerce Tuesday morning. The lure of a $100 million 43-acre riverfront "new neighborhood" has struck a chord with major firms who will join the Uptown Bay City development as additional "anchor tenants," he said. He credited Bay City officials and Mayor Chris Shannon for "moving at our speed of development" on the project and Chemical Bank for providing financing as well as becoming one of the initial anchor tenants. Meanwhile, some of the 300-400 Dow Corning employees this summer and "hundreds by the fall" will be moving into the firm's 105,000 square foot three-story marketing building nearing 100 percent completion. Start of construction on a McLaren-Bay Region surgical center and the Real Seafood Company this summer. The transformation of a 165-year-old industrial site Mr. Shaheen called "under-utilized for decades" into a modern urban new neighborhood has required removal of 200,000 tons of concrete and rubble and pilings 100 feet deep, said Mr. Shaheen. The first trees in 100 years have been planted on the site, the start of greening the development aimed at integrating Bay City's growing environmentally friendly riverfront spaces into an accessible extension of vibrant Downtown Bay City. Mr. Shaheen stressed the proximity of the Dow Bay Area Family Y for "early morning workouts," noting that Dow Corning will have neither workout space nor a cafeteria so employees can utilize nearby downtown businesses. The Uptown development will be a major attraction at the upcoming May 27 Bay Area "On the Go" exposition and tour, said Chamber President Mike Seward. Mr. Shaheen, issuing a call for "help spreading the good word" to Chamber members, summed up Uptown as "densely populated, world class, rivaling any downtown in the world." 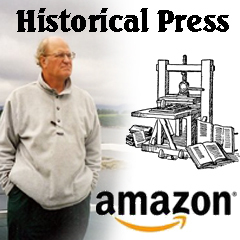 respected journalist/writer in and around Bay City.